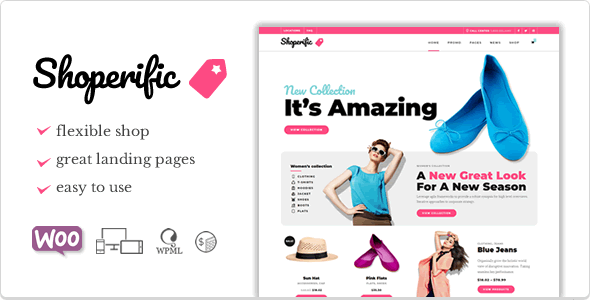 Shoperific WordPress Theme for online shops and online shopping stores. Its attractive design and impressive product display options make this shopping theme very flexible to work with. This WP theme is WooCommerce compatible plus you have additional options, that come exlusively with this theme, to change appearance of the products in your shop. Other special elements/features include: menu dropdown promo, menu with icons, promo box element, single product element and other that you can see in our demo.